In recent weeks, we’ve heard how international support for humanitarian assistance is falling dangerously short of what is needed – leaving 200,000 refugee families who are completely reliant on cash assistance in immediate risk. Without financial support, these families are forced toward dangerous coping mechanisms including unregulated labor, begging, child marriage, and radicalization – all of which further complicate and exacerbate the ongoing crisis. On a recent trip to Jordan, I witnessed first hand the increasing need for long-term solutions and saw why passive cash assistance is simply not enough. When visiting with refugee families and hearing their experiences, I felt the weight of what they had been through, an acceptance that they would likely be a refugee from their home country indefinitely, and their desperation for a better life for themselves and their family. One of the women I met with, Hana, is a refugee who has been receiving cash assistance from an international agency to support herself and her children (her husband died a few years ago). While extremely grateful for the support, she expressed living in a constant state of worry and stress of what would happen when this aid ended. The money she received also wasn’t enough to cover their basic needs (rent, heating and water). Hana knew that she needed to do something to earn money and become more financially secure. That is when she sought help from one of NEF’s Siraj Centers near her home. At any one of the four Siraj Centers we’ve established in Jordan, refugees and vulnerable Jordanians are able to access training, counseling, and critical information needed to find jobs, start businesses, improve their physical and mental well-being, and strengthen their families’ economic resilience. 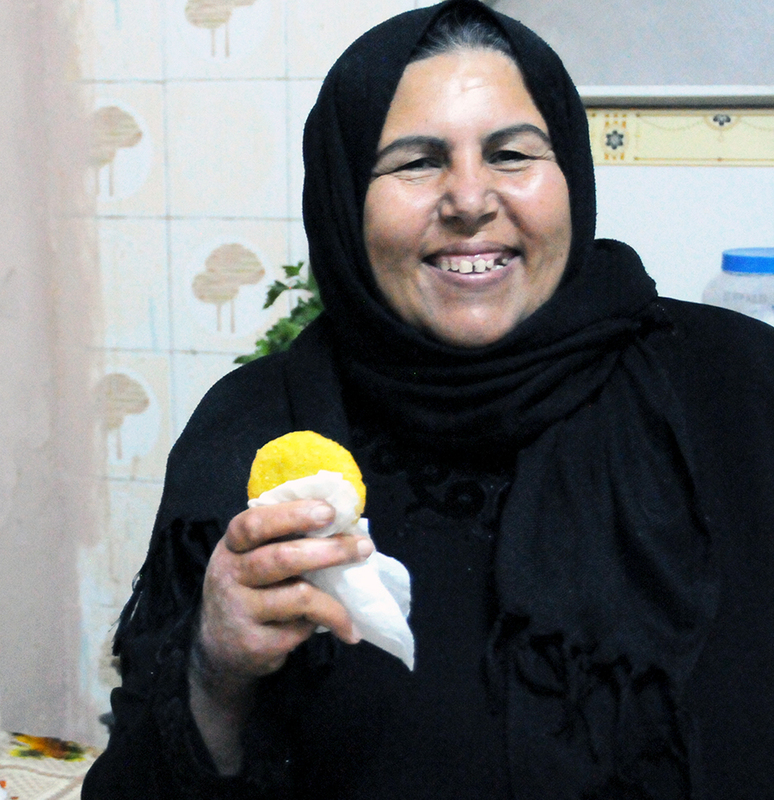 After attending one of our business development workshops, Hana started catering food out of her modest kitchen where she prepares popular dishes she learned to make from her mother as a young girl. From the profit she makes taking orders from her neighbors and the local supermarket, Hana is able to bring in a sustainable source of income to support her family’s needs. With a smile on her face, Hana told me that she feels much stronger now because she is able to depend on herself and not others. At NEF, we believe that providing people with safe opportunities to earn an income is critical for their survival. We are working hard to help people move past their reliance on passive aid by building their resilience and autonomy so they can independently generate an income. As support for international aid fails, our work is needed now more than ever. I urge you to share this message and consider a gift to NEF today. It is up to us, and donors like you, to help others like Hana survive on more than humanitarian aid.